6 D cell Maglite flashlight comes through high-intensity adjustable light beam and also with high quality rugged aluminum case. It comes up with spare bulb, that is conveniently placed in tailcap of light. A good thing about this, is that the light adjusts through flood to spot through just a twist of the head. All the joints are sealed through O-ring in order to prevent damage through moisture and make it water and shock resistant. This is the one that will need 6 D cell batteries. 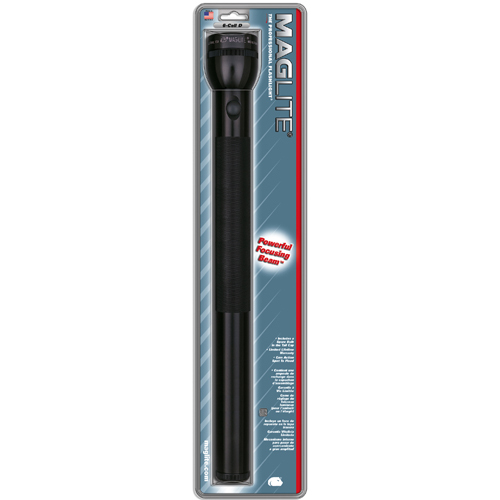 Some of the features of 6D cell maglite flashlight are high strength aluminum alloy cases, self cleaning rotay switch, 3 position on/ off and signal, etc.